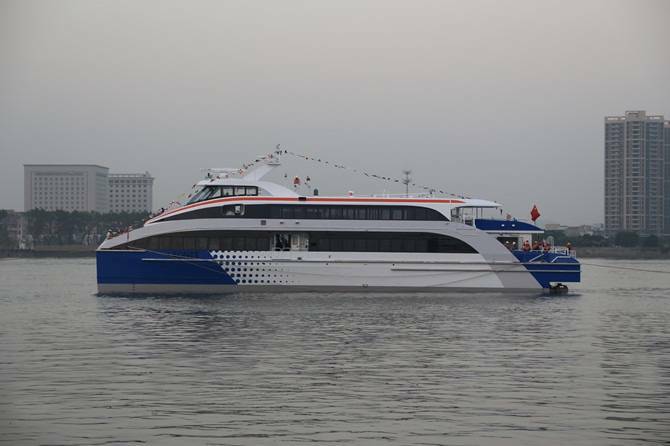 China's Afai Southern Shipyard says it has launched a 4010 high-speed catamaran ferry for the Damen Group of The Netherlands. The catamaran ferry has an aluminum structure with a length of 39.9m, beam of 10.7m, design draft of 1.72m, and design speed of 35 knots. Afai Southern shipyard says that the launch indicates it has achieved another construction milestone by building this international high-end ferry.